I’m sure you vaguely remember your mid-life Eastern Mysticism phase – escaping away to India, searching for the meaning of life, plucking away at a sitar, hanging out with your band mates – good times. Unfortunately, gone are the days of gurus and ashrams, and we’re now stuck with Google and Apple, but you still need a snack that will help you find the inner light. 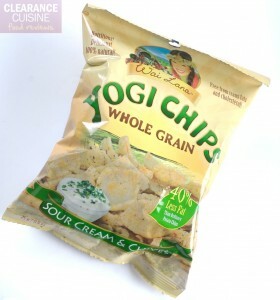 But I digress – I’m playing one trick pony with the name “yogi” when in fact, these chips are made by a brand called Wai Lana and feature a picture of a Hawaii yoga conglomerate of the same name. While her retail/personal website is quite humble (“Wai Lana is not only a beautiful and charming modern-day yoga advocate but also a highly energetic and prolific artist.”), she not only sells Yoga DVDs and Yogi Chips, but Yogi Fruit Bars and even Yogi Kids Snacks for your budding Bodhisattva.